One of my favorite summer items from J.Crew is their shorts. They have an ample variety of colors and prints but they aren't so short as to show your cheeks. I don't know about you, but that's a difficult thing to find for me these days. 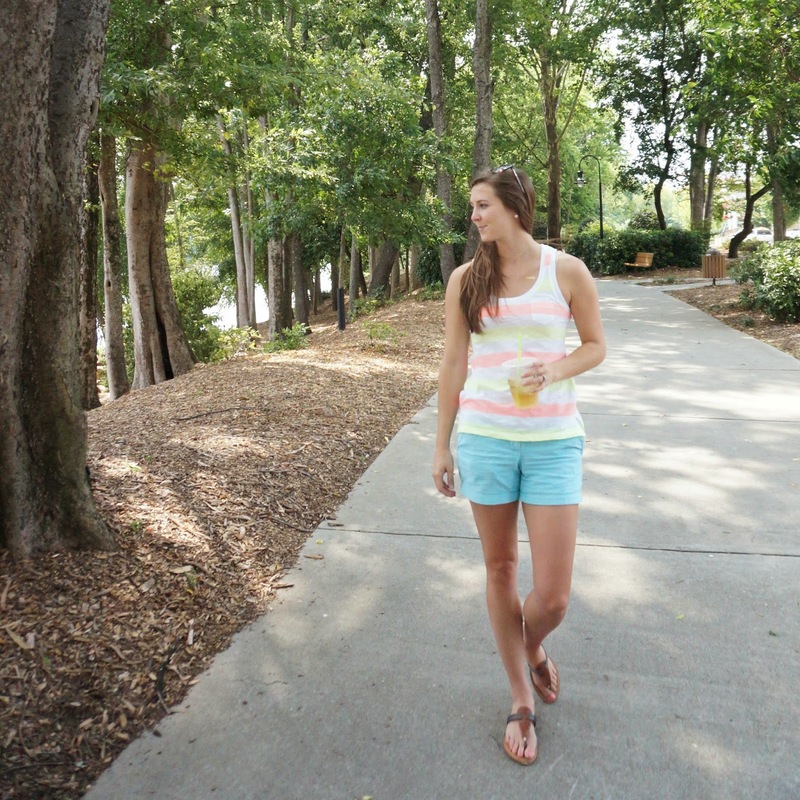 I paired some of my favorite shorts with a happy neon tank for this outfit perfect for a boat day or romp in the park.